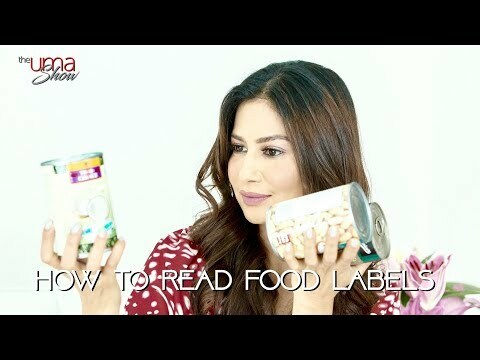 In this video I’m going to share with you some easy way to reading or understanding food labels. When you are trying to lose, gain or maintain weight, it is important to understand and know what you are putting in your body. Food labels have become increasingly easier to read and more informative for even beginning label readers to know what they are consuming. Food labels provide all the information you need regarding the nutritional values of a particular food product. Reading the labels will make it easier for you to judge what type of food product is good enough to put in your body. With labels, you can easily compare the food products and select the best option for your diet. As necessary as it is, reading food labels can be a little tricky at first, but here are a few tips to get you reading them like a pro. First things first. Check the amount and size of servings contained in a package because the nutritional values are written relative to that size of a serving. Serving sizes are mentioned to make it easier to compare similar amounts of food products. Every nutritional fact mentioned on the label is influenced by that serving size. The next thing you should check is the number of calories. It will tell you how many calories you are consuming per serving. You can easily calculate the number of calories that you have consumed based on the amount of the food product you have eaten. Calories are very important because the number of calories you consume or burn determine whether you are going to gain or lose weight. For instance, if you consume or burn 3500 calories, you are going to gain or lose one pound of weight respectively. The number and type of nutrients listed let you know how much energy you are consuming and how are the ingredients of this food product are going to affect or nourish your body. While reading the label, check for things like saturated fat, trans fat, cholesterol and sodium; these are things you need to completely avoid if you intend to maintain your health or lose weight. These four nutrients are notorious for contributing to heart disease and various types of cancers. On the flip side, look for foods that have high amounts of fiber, calcium, iron, proteins, zinc and a variety of vitamins. These nutrients will nourish your body and get you through your day without draining you of energy. This percentage gives you an idea of the number of nutrients that are available in a single serving. If you intend to avoid or limit a certain nutrient like cholesterol, sodium, trans fat or saturated fat, select food products that show less than 5% Daily Value. Similarly, if you want to start increasing the protein in your diet, look for food products that contain 20% or more of your daily value. Hope you found this informative, share, like and comment. Always waiting to hear from you.